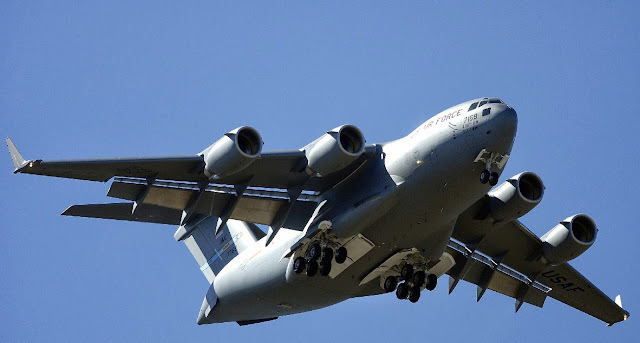 The Indian Air Force is looking forward to add to its fleet seven more C-17 heavylift aircraft which are capable of ferrying tanks and artillery guns close to the borders with China and Pakistan. "As far as the transport fleet is concerned, we are looking at inducting six additional C-130J and seven C-17s in the near future," IAF Chief Air Chief Marshal NAK Browne said. "Also in the pipeline is the procurement of 45 Medium Transport Aircraft, presently, under joint development between Hindustan Aeronautics Limited and Russia," he said in an interview with Defence Ministry's Sainik Samachar magazine. India already has placed an order for 10 C-17 aircraft from the US Air Force worth over Rs 20,000 crore and three have already been inducted at its Hindan air base near here. 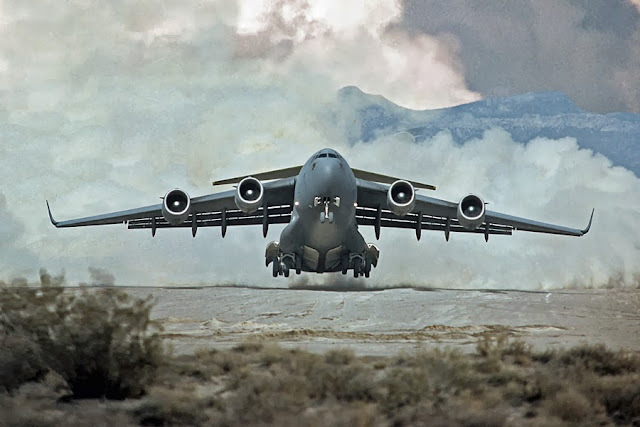 A C-17 has the capability to land at short airfields such as the Daulat Beg Oldie advanced landing ground in Ladakh sector and carry 150 combat-ready troops to a distance of 4,200 km in one go. Meanwhile, the IAF chief said the three services are working towards creating a separate command to tackle threats and issues in the Cyber arena which will soon be sent for approval of the Cabinet Committee on Security. "The Services are working towards the formation of a Tri- Services Cyber Command and a comprehensive draft CCS note has been worked out along with the requirements of manpower and financial costs," he said. "An interim structure for the cyber command would be formed after the approval of the Defence Ministry and the full fledged command structure would take shape only after the CCS approval," the IAF chief stated. The IAF chief said the proposed Cyber Command would be fully integrated with the other existing national structures of cyber security. Browne said with the induction of latest equipment and platform, the force has emerged as a strategic force from being a tactical one earlier.